Charlene Mae Hardey was born on May 29, 1927, in Imperial, California, to Gordon S. Hardey and Mae Williams. Her father, a native of Oklahoma, was a owned and operated a car repair station in Imperial, her Texas-born mother was a housewife. Her younger brother Gordon Williams was born on November 14, 1930. The family lived with Gordon’s dad, Henry Hardey (have no idea where grandma was, as Henry isn’t listed as a widow, but married). Queen to Reign in Home-coming Selected at SC Helen of Troy . . . She was selected at the University of Southern California yesterday and she launched a thousand sighs. As the prettiest Trojane of them all, she will reisn over the many events’ in the current Home’ coming Week on the Trojan cam pus. She Is Charlene Hardey. Dark-haired and petite 5 feet, 2 inches, 110 pounds Charlene is a senior majoring in drama. She belongs to Pi Phi Sorority. Her home is in Brawley. Charlene was chosen from among 21 finalists in the annual Helen of Troy contest before a full and appreciative audience in Bovard Auditorium on the SC campus. Picked to reign with her over home-coming week activities were four attendants: Harriet Steele, 20, a junior, of 368 Gladys St., Long Beach; Nevin Haugh, 21, a senior, of 135 S Van Ness Ave.: Patricia Judson, 20, a junior, of 9002 Norma Place, Beverly Hills, and Sally Harris, 21, a senior, of . 3378 -Huntington Drive, San Marino. All of the attendants belong to Delta Delta Delta except Miss Haugh who is a Delta Gamma. Judges who selected Helen of Troy and her four attendants were Film Actors Donald O’Connor and Lee Bowman and Band leader Les Brown, whose orchestra played before the final selection.
. . . ride on a special float In the home-coming parade in the Coliseum before the game and reign over the home-coming dance Saturday night at Casino Gardens. Phew, I hope it was worth it. Anyway, all eyes were on Charlene those few days, including the eyes of Hollywood. A talent scout, always hungry for pretty young ladies, saw her and she was signed to a contract. 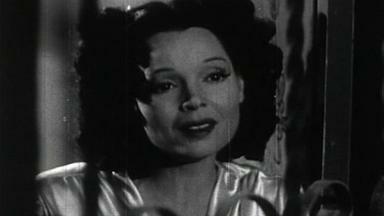 Charlene appeared in only two movies. The first is A Life of Her Own. The plot is as follows: an aspiring, played by Lana Turner, model who leaves her small town in the Midwest to seek fame and fortune in New York City and gets mixed up with a married man (played by Ray Milland) and has to survive in the ruthless world of modeling. It’s a typical 1940s weepie, a overtly dramatic romance movie, not much more, but made well enough not to be a waste of time. But, I still think it’s worth watching. Plenty of well acted (and less well acted) angst works both for and against the movie. The ending surprised me nicely and Ann Dvorak role’s a plus. The original script was much more morally ambiguous, but sadly the censors cut it down into (same story of old Hollywood, it seems). Charlene played one of the models. Charlene than appeared in another woman’s movie – Take Care of My Little Girl, a subject close to her very own heart – university life. The plot: A young woman enters college and learns some hard truths about sorority lifethe negative things.The movie looks like a fluffy piece of sugar, but it actually packs a punch if one watches it more closely. The movie carries a strong message about snobbery, shallowness, and hazing, something that is more relevant today than ever before. None of the thespians was first class – Jeanne Crain, while beautiful, was never a particularly talented actress, and Jean Peters, while always adequate, was no Bette Davis – same goes for Dale Robertson – but they are perfect for a movie of this kind, and hit the right notes. Definitely recommended! After her movie career was over, Charlene did some TV work, a modus operandi for many actor and actresses of her generation. After her acting career watered down to nil, Charlene for a time did TV films for Bing Crosby Enterprises, and then served as Red Sanders‘ secretary for seven years. Well, how did she become a secretary all of a sudden? 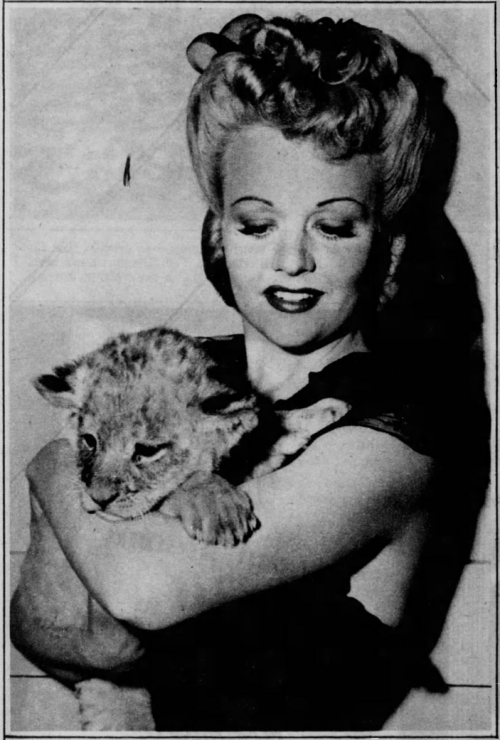 Namely, Red lured away from the cameras to become his real-life secretary after she had played that role on his weekly TV show, “Pigskin Clinic.” After she left Red’s employ, she spend some time serving in the same capacity for Billy Barnes. In his private life, Charlene was cool, calm and collected and never made any newspaper headlines. 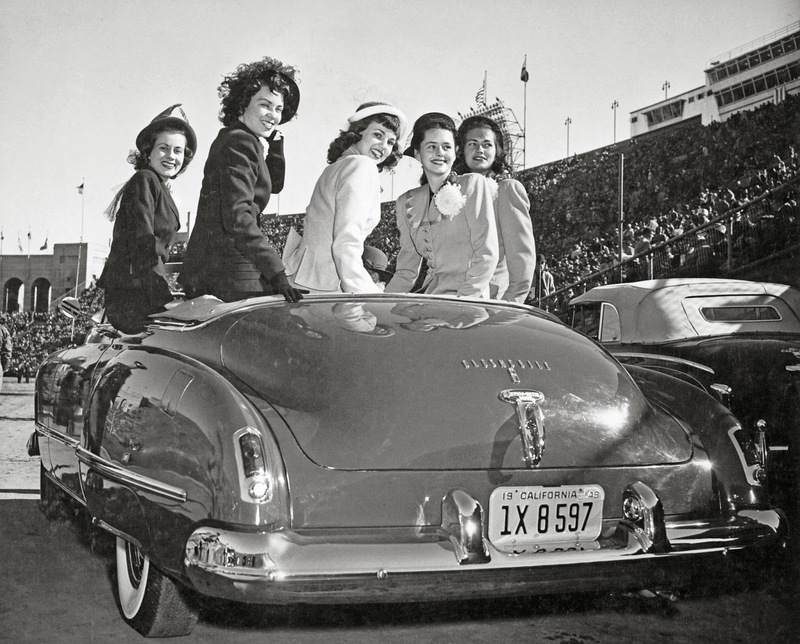 She met her future husband, handsome Stephen Steere, during the 1948 USC vs. Notre Dame football game, where he first saw her – she was on the field and he was in the audience, so perhaps the didn’t meet “for real”, as she didn’t even notice him. However, in a strange twist of fate, they “met” for real on a a blind date a year later and dated for six more years. They were married on December 14, 1956, in Los Angeles. Charlene retired after her marriage. Now, something about Steere. Stephen Douglas Steere was a Southern California native, born in Santa Monica on June 20, 1925 to Fred and Gertrude (Gigi) Steere. He was the third of five children – his older sisters were Jeanne and Barbara (who were born in Canada, as the family was originally Canadian), and his younger siblings were Neila Margaret, born on January 7, 1928, and Donald Mack, born on June 22, 1929. His father managed Wilson’s Sporting Goods on 3rd Street and Wilshire in Santa Monica. His education was delayed by the War – he was drafted and returned to civilian life in 1945. After taking art classes at SMC, he rekindled his natural artistic talents and went on to attend Art Center College of Design, with a degree in illustration. Following his focus on fine art, he went on to explore more commercial art avenues, working at Western Publishing in Beverly Hills, alongside artist Ellis ‘Papa Duke’ Eringer. This led to establishing himself as a successful free-lance artist, working primarily for Walt Disney Studios, as well as Warner Bros., 20th Century Fox, Universal, MGM, Hanna Barbera, Dell Comics, Mattel, and Hallmark among others. His talents evolved into a 50-year career drawing every popular character created by these houses of tangible imagination. Steve’s work appeared in books, comic books, coloring books, comic strips, and on clothing, videos, posters, etc. — hundreds of products enjoyed by children and adults around the world for decades. He also did early developmental work for Disneyland in advertising and merchandising. In later years, he returned to his fine-art roots, painting impressionistic and three-dimensional land and seascapes. Charlene and Stephen had two children, a daughter, Shannon, born on February 18, 1960, in Los Angeles, and a son, Stephen, born on August 4, 1961, in Los Angeles. When they first married, Charlene and Steve lived in Santa Monica, then Pacific Palisades, then moved to Malibu in 1960, first in La Costa Beach, then in Malibu West, becoming one of the original owners in the new neighborhood. When their house was destroyed by a fire, they rebuilt the home. They enjoyed a happy and harmonious marriage for more than 50 years. Charlene Steere died on October 23, 2008, in Malibu, California. Her widower Stephen Steere died on October 20, 2014. Ariel Heath was another debutante who wanted to make it big in movies and failed. However, her life story is less orthodox than most, and she definitely did do better than most of her fellow socialites, having credited roles and actually staying in Hollywood for three years. Unfortunately, stupid publicity fastened her demise. Let’s hear it! Anne Harrison was born in Cinncinatti, Ohio, on January 2, 1917, to socialites Learner Blackman Harrison and Frances Kohlsaat, their first child. Her father was the great local banker who came from a prominent family. Her mother was also a debutante, niece of Herman H. Kohlsaat, an eminent Chicago editor and author. Anne had a younger sister, Frances, born in 1922, and a brother. The Harrisons employed two servants, Margaret Dechant and Lester Wright, and lived the lavish life. Unfortunately, her parents divorced in 1924, her mother remarried as soon as the ink on the divorce papers was dry (to a younger Montecito guy, Samuel Russel Dabney) and her father remarried to Hilda Jones in 1926 (coincidentally, Hilda was born on the same day as Anne, January 2). Anne stayed with her father while her younger siblings went to live with their mother (a bit weird but okay, whatever works). Ariel thus lived with her dad, hard and proud Cincinnati businessman who commuted between that city and Lexington, where his mother lived, with Ariel tagging along. In time Ariel caught the acting bug and starting from the age of eleven, she played child parts in Stuart Walker‘s repertory company while visiting her grandmother one summer. This became came a regular summer-stock routine until Mr Walker was called to Hollywood to direct pictures for Paramount studios. Then things began happening. Stuart Walker wired Ariel and her grandmother an invitation to come to Hollywood. Ariel’s father immediately put his foot down and Ariel was whisked off to Meath County, Ireland for further schooling, then to Switzerland and Paris, where she attended finishing schools. Naturally, Ariel ended up majoring in dramatics, sculpting and painting. The rumblings of war brought her back to Kentucky, her horses and her American Kennel champion dogs. She wanted to be a veterinarian but lacked the proper credits to enter a veterinary school (I guess she was too lazy to seriously study). Then, in the early 1930s, Ariel’s grandmother moved to Hollywood, and this served as a catalyst for the young girl to make her plans. Her friend and former coach, Stuart Walker, was now firmly established as a motion picture director. She wired him, he wired back, and Ariel was in Los Angeles in a flash. However, the day Ariel arrived in Hollywood, tragedy struck. Stuart Walker was suddenly stricken and died a week later. His death was a great shock to her, but she decided to stay and enjoy her newfound freedom. Since money was no problem, she didn’t even look for a job right away – she just idled at the sunny shores of California. However, as stories sometimes go, when a you won’t come to the mountain the mountain will come to you, and movies found another way to claim Ariel. Ariel had a Shepherd dog, Michael. Ariel entered her prize dog in a Kennel Club Show in Beverly Hills. At the same show was Elizabeth Risdon, RKO actress, who was also showing her dog. Miss Risdon became interested in Ariel’s Shepherd then she took a second look at Ariel. The next day, Miss Risdon mentioned her discovery to one of her bosses at RKO. Ariel was called to the studio, given screen test and signed to a contract. From then on, she became best friend with Miss Risdon, who also sent her to Helena Sorell, head of the RKO Radio Drama School troupe. And then she was pushed into movies! Ariel started her career in Here We Go Again, a Molly and Fiber Mcgee comedy. It’s one of those “if you like them, watch it, if you don’t, don’t” comedic series – not for everybody, but some people enjoy it. Next came the very unrealistic, strangely cast musical Seven Days’ Leave. oh yes, if you want to see Victor Mature as a soldier-crooner, do watch this! Weird. 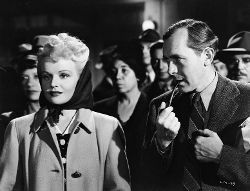 On the plus side, it’s not a bad effort and is definitely a feel-happy movie (and it’s got Lucille Ball in it!). Then came the grim and serious Hitler’s Children, a very direct criticism at Hitler Youth movement. It’s one of those movies you see but don’t enjoy, due to its brutal and nightmarish theme, but still, it packs a pretty strong punch, as it was intended. Another anti-Nazi movie, in a slightly different coating, was Flight for Freedom, hailed as the life story of Amelia Earhart – but actually a war propaganda movie. Thus, it’s not a good movie at any rate, although Rosalind Russell and Fred MacMurray give their best shots. Ladies’ Day was finally an easier fare – a baseball comedy with little game and plenty of zany comediennes (Patsy Kelly, Iris Adrian and Lupe Velez). It’s a B movie and it shows, but it’s got a peculiar charm of its own. Ariel than appeared in a Falcon movie, The Falcon Strikes Back. What to say, more of the same. And then, Ariel appeared in a string of prestigious, very good movies. The first was This Land Is Mine, one of the best movie about ordinary people in war ever made. Charles Laughton shines as a mild mannered teacher turned resistance fighter, and Maureen O’Hara gives a passionate performance too. The Leopard Man is a stunning horror movie by the master of the genre, Jacques Tourneur. Sadly not as famous as the director’s other work, it’s a compelling, tightly plotted and superbly made movie. Ariel finished her golden string with Mr. Lucky, an interesting Cary Grant film where he plays a gambler turned charity donor (after he falls in love with a girl, of course). Since I like Laraine Day, it’s a definite plus that she’s in the movie, IMHO. And then Airel got her five minutes of fame, and a credited role in a low-budget western. Yipee!! Or maybe not. The movie in question was Black Hills Express and it’s completely forgotten today. Zzzz, let’s not waste any more time on it. Ariel continued with her credited career in A Lady Takes a Chance, a fluffy Jean Arthur/John Wayne comedy. She was also prominently featured in Career Girl, a pale remake of Stage Door. Here, we have no Ginger Rogers or Katherine Hepburn – we just have Frances Langford and Lorraine Miller. While they were to some degree talented ladies, they can’t save a movie nor make it a true classic. She had another not-invisible role in Machine Gun Mama, a simple, low-key Z class comedy. Her last movie, The Big Show-Off, was of a similar vein, a little known low-budget comedy with Arthur Lake and Dale Evans (sans hubby Roy Rogers). That was it from Ariel! basis. Blessed with an Irish wit and humor, she laughs when she tells you she stopped kidding herself about becoming famous that way. She feels she is an actress, has experience and training to back that feeling, and so, she took the part of a meanie in PRC’s present production, “Manhattan Rhythm.” At least she will get a chance to show that she can act. 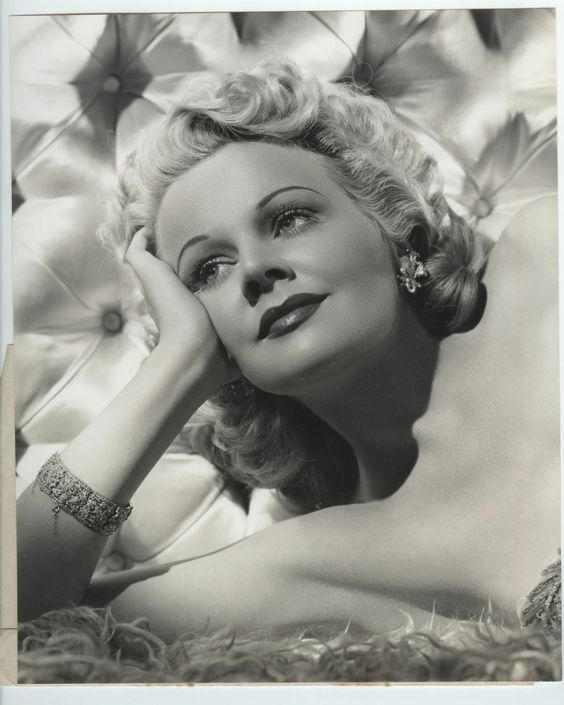 They tried to sell Ariel as a Jean Harlow look-alike who cared nothing about it and wanted to be a serious actress. If only! If they really wanted to make her a serious actress, they would neither have bleached her hair nor even mentioned Jean’s name in the same sentence as Ariel’s. All in all, a general fiasco. When I was asked to Interview Ariel Heath, whose option was recently picked Up by R.K.O. Radio Pictures, I expected to meet a very complex young lady — and I did. The lovely twenty-one-year-old blonde beauty from the blue-grass state of Kentucky was quite reticent about her own past and preferred heaping her praises upon her fellow contract players, climaxing her “press – agent- ing” with, “We all owe our good fortune, directly or indirectly, to the coaching and understanding of Miss Helena Sorrel, our dialogue director.” “That’s great! Now what about you?” I said sternly. “You’re the one I’m supposed to be interviewing.” My last words died away into a whisper. You see, I had caught her eyes. They’re a fathomless grey and when this curvaceous creature smiles, well, shades of the late Jean Harlow appear before your eyes . . and you do naught but stare. Fortunately, her grandmother, with whom Ariel shares an apartment in Hollywood, appeared on the scene and upon her insistence Ariel talked. Another interesting tidbit: Ariel’s father and family were not aware that she was in pictures, only her grandmother knew the secret. Ariel commented on this: “You see Father is not a movie fan and would hit the ceiling if he knew. We want to break it to him gently, at the proper time.” Since her career was over soon enough, one wonders did she even mention this West Coast sojourn to her dad. As for romance, we are a bit thin here. Lee Bowman, a noted actor, introduced Ariel Heath to his brother, Hunter Bowman, American Airlines official visiting in Hollywood from Washington, D. C., and they dated for sometime after. 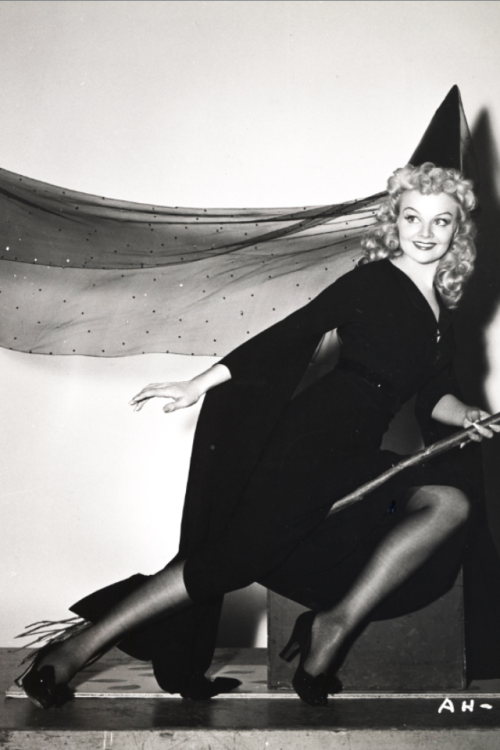 Her hair color during her stay in Hollywood was known as a “whistle-blonde” shade (not platinum blonde, mind you!). Unfortunately, it was hard to upkeep it so she gave up halfway and darkened it. Also, Ariel missed Lexington quite a bit during her stay in Tinsel town. Her closest friends in Lexington were the Ed Maddens – Mr. Madden sent her a valuable thoroughbred mare shipped to Hollywood in a box stall but Ariel had to give her up since she couldn’t afford to feed it! Ariel left Hollywood after a few roles, and was rarely featured in the papers. However, the next thing we know, she was to get married, to another socialite, Shipley Bayless. THE MARRIAGE OF Mrs. Anne Harrison and Mr. Shipley Armstrong Bayless will be solemnized at 6:30 o’clock this afternoon at the residence of the late Mr. and Mm. John E. C. Kohlsaat at Santa Barbara, Calif. Only the immediate family will be present at the ceremony. Mrs. Harrison is the daughter of Mrs. Samuel R. Dabney (Frances Kohlsaat) of White Gate Ranch, Los Olivos, Calif., and Mr. Learner B. Harrison of Cincinnati. Mr. Bay-less is the son of Mr. Herman A. Bayless and the late Mrs. Alfreda Shipley Bayless. After their wedding journey Mr. Bayless and his bride will return to Cincinnati where they will be established in Mr. Bayless’s residence on Vista Avenue. Anne and her husband were very active socially and strong members of the horse-breeding set – they owned several farms and prize-winning horses. Unfortunately, as I know next to nothing about that culture, I can’t write about it in any detail. Bayless and Anne divorced in the 1960s, and he remarried in 1964 to Mary O’Connell. He died in 2005. Anne Bayless died on July 21, 1973 in Santa Barbara, California.